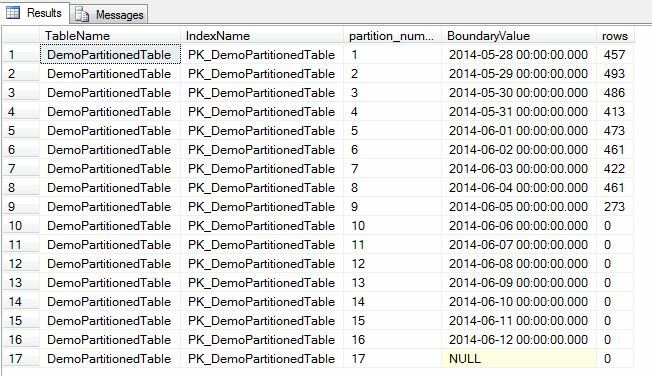 These partitions will hold data until the 11th of June, after which all records in the table will be put into the end partition (number 16). This means that the end partition will end up holding a lot of records. In order to prevent this, a new partition needs to be created. Partition 16 now has a boundary value of 2014-06-12 and a new partition (17) has been created. 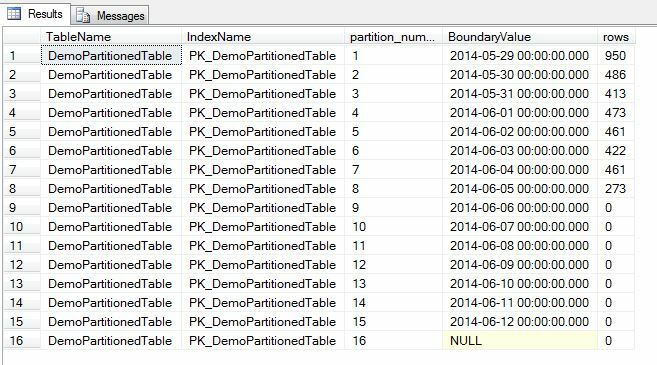 So the data in the partition with the boundary value 2014-05-28 has been merged into the partition with the boundary of 2014-05-29. The problem now is that the last partition has data from the partition that was just merged into it as well as the existing data that was already there. 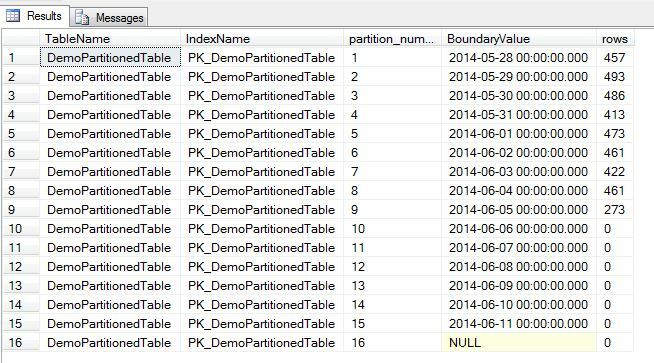 In order to prevent this from happening, the data from the partition that is about to be merged can be switched into another table before the MERGE command is executed. I will cover this in the next part of this blog series.